The EarCap is a unique ear irrigation system with a built in catch basin that uses standard saline irrigation bottles as the fluid reservoir. This provides a large volume irrigation system that can create the necessary turbulence to loosen wax and flush it out into the built in catch basin. Providing a large volume of fluid to the external auditory canal is what floods the ear, creates turbulence and loosens wax. Syringes are have narrow streams without much force and are tedious to refill. 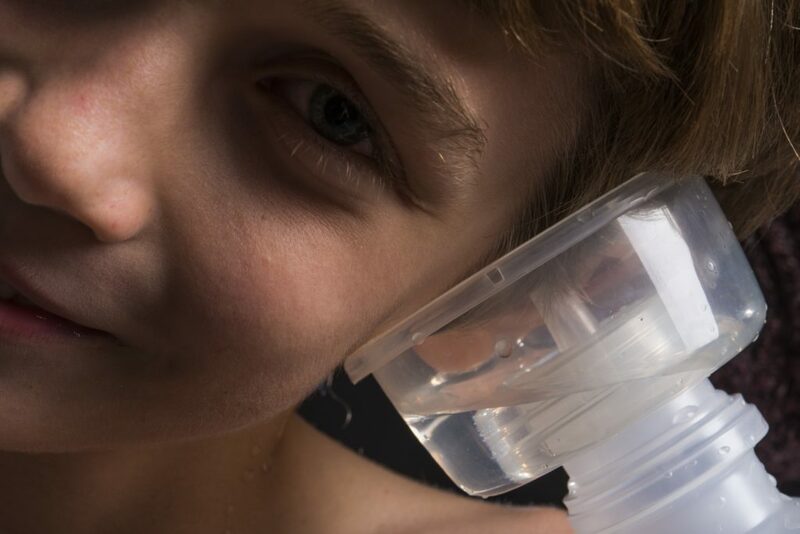 The EarCap uses standard saline bottles as the fluid reservoir. Be sure to use warm fluid. The EarCap works with gravity. Rather than blasting wax further down in the the ear, the EarCap is positioned below the ear so the fluid drops into the basin. It can be used by the clinician as a billable ear irrigation tool and it can be left with a patient for self-use and even home use. The built in catch basin reduces the number of hands involved and it reduces the mess from the procedure. You can see what you get when the irrigation fluid flushes out golden nuggets of success. The flexible and adjustable tip optimizes comfort and proper positioning to maximize success. 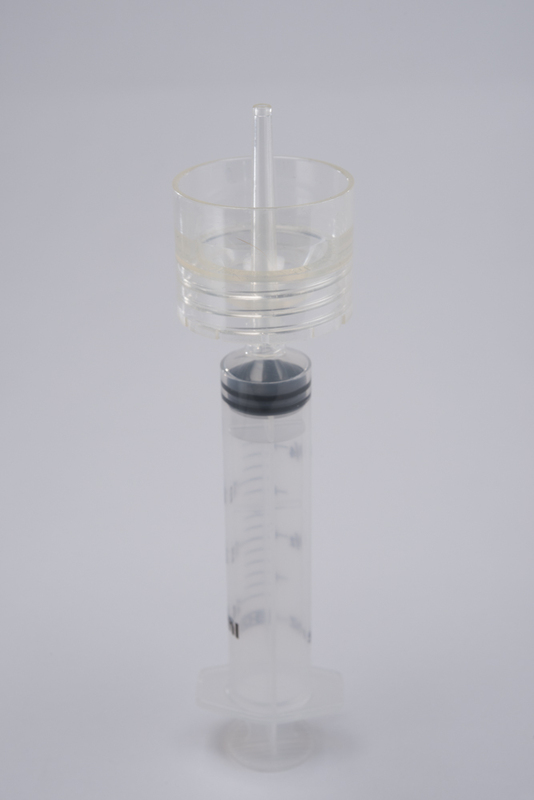 The threaded attachment for a saline bottle allows the delivery of large volumes of fluid without having to tediously refill a syringe or hand pump over and over again. 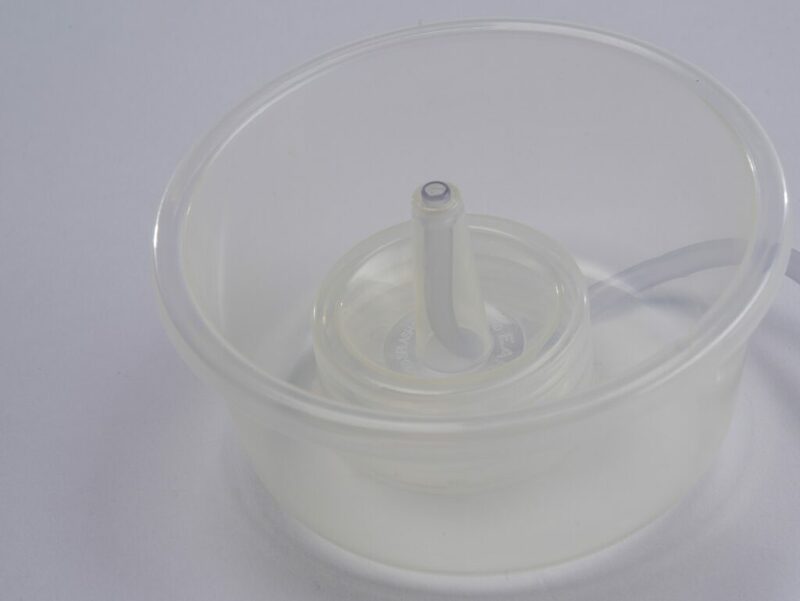 Use the EarCap to reduce the time and resources involved with wax removal (and even for some foreign bodies). Now it is easier to irrigate the ear. Use warm water, including warm tap water. Adjust the flexible tip to the desired depth. Lean over next to a sink. Place the EarCap around the ear and against the scalp. Watch what comes out in the basin. Dump into the sink & Repeat. Doing It Right, With High Volume Irrigation. 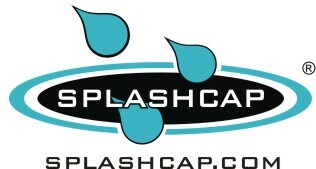 The EarCap delivers a large volume of fluid to the ear can to create turbulence and flush out wax. Tedious syringes use narrow streams without much volume or overall force. The EarCap is designed with a flexible adjustable nozzle with a wide opening. Extension tubing dips into the bottom of the saline bottle so the bottle can remain upright as the patient leans over. Squeezing the bottle quickly floods the ear canal with fluid to displace the wax out of the ear canal. The built in catch basin allows you to catch the irrigation fluid as it comes out to reduce the mess and monitor the progress. See-what-you-get as it comes out. 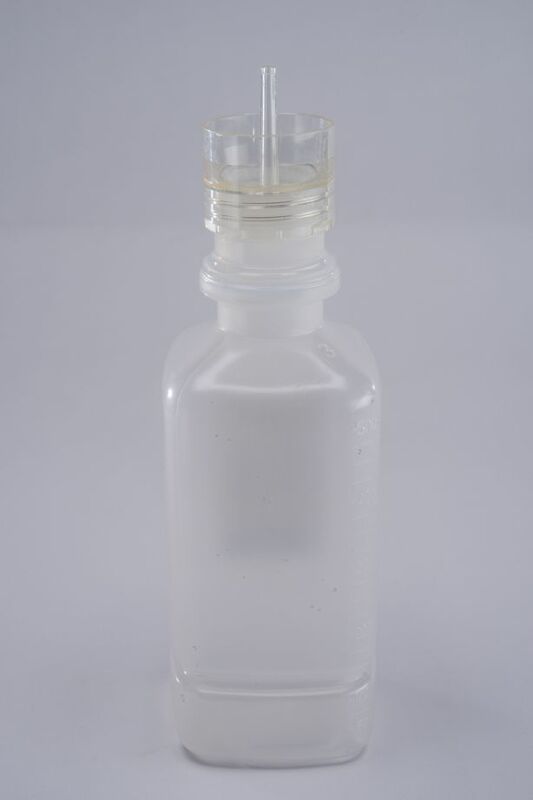 Like our other Splash products, the AbscessCap is threaded to fit on any standard saline bottle. In addition, the AbscessCap has a luer slip adapter for use with a syringe on smaller volume abscesses. It depends on how hard you squeeze the bottle. Of course, low pressure is safest to reduce injury to the middle ear. Unlike syringes or spray bottles that are designed to generate spurts of high pressure narrow streams, the EarCap is designed to deliver wide streams of large continuous volumes of irrigation fluid. This design creates turbulence to dislodge and flush out wax. The adjustable tip optimizes the placement depth and the wide opening increases flow while reducing pressure. The long extension tubing also increases the resistance to decrease the pressure. The optimized design for self-administration of fluids, makes it possible the user to self-regulate how much fluid and pressure is delivered.